I love planning my children’s birthday parties. 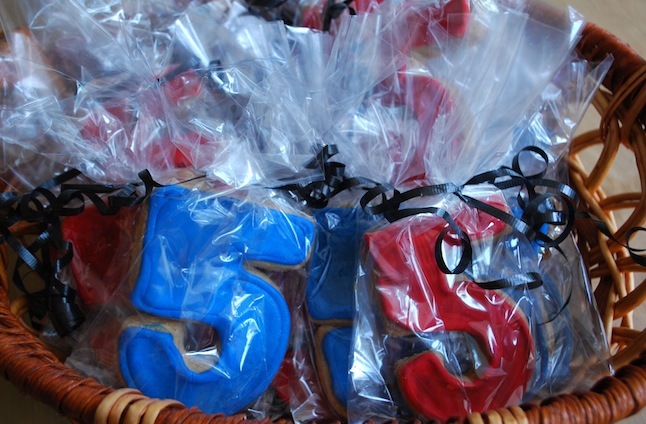 From the theme, to the cake to the party favors…it’s one of my favorite activities of the year. There are exactly 6 months between their birthdays and my husband will tell you that I take that long to plan (obsess!) about each party…he’s not entirely wrong! 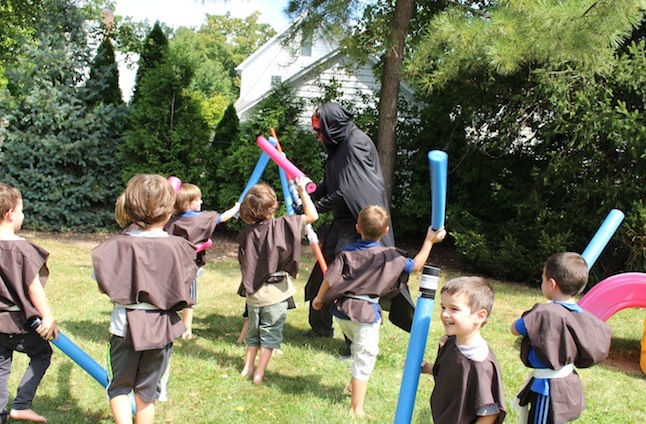 This party was one my my favorites…STAR WARS. My son is a BIG Star Wars fan. He has Star Wars EVERYTHING – sheets, shirts, socks, (underwear), backpack, lunch box, water bottle…and every Star Wars character they make. He knows them all by name, who they are friends with and what color light saber they carry. He even taught his 2 year old sister all of the names. 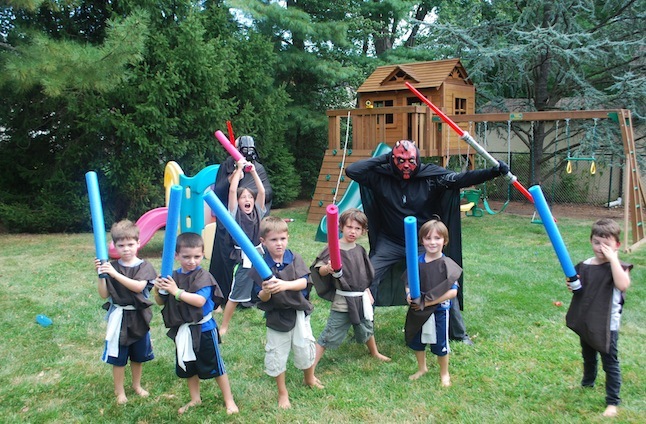 It was only natural that he would want a Star Wars birthday party this year. I started doing some research and founds hundreds of party ideas. I started off making pool noodle light sabers for all of this kids. 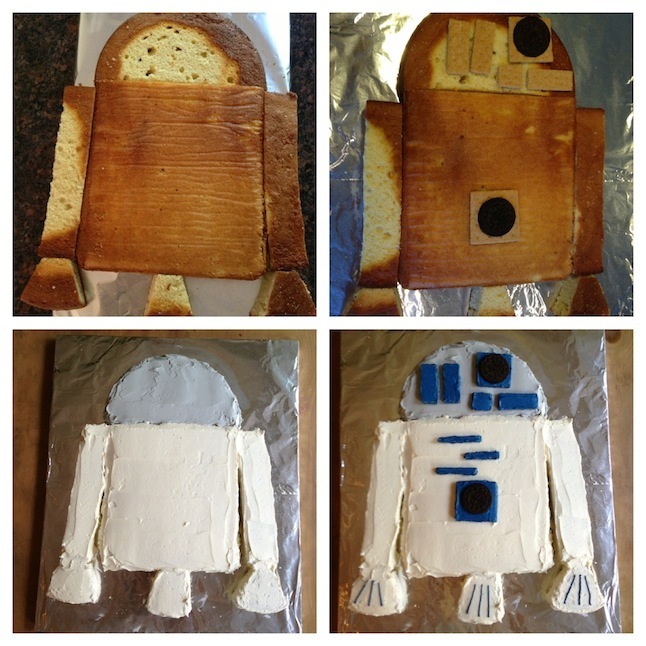 I actually got this idea from a recent trip to Woodloch Pines (we were there for a “May the 4th be with You” weekend!). There were so simple to make, adorable and a safer alternative to plastic light sabers! After lunch (we served pizza with whole wheat crust and water for the kids and a big green salad and a farro salad for the grown-ups) , we broke out the Death Star pinata. I used a large soccer ball pinata, tore off some of the black areas and painted it all grey. Being a nutritionist, I could not bring myself to fill the pinata with excess candy, so I decided to fill it with all kinds of fun toys (silly glasses, tops, whistles, yo-yos, games) and a few organic lollypops. Each child got a cute brown bag to fill with all of their goodies. The kids all got to bring home their light sabers, costumes, pinata treats and delicious cookies made by my mom! It was a fun day for everyone! Now it’s time to plan the next one!